Vitamin B12 is a water-soluble vitamin that a mature and growing body needs to operate correctly. 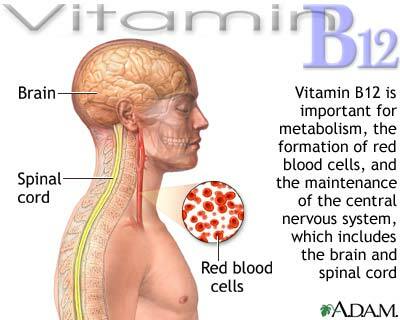 The nutrient keeps blood cells and nerves healthy. It also has a hand in DNA production. 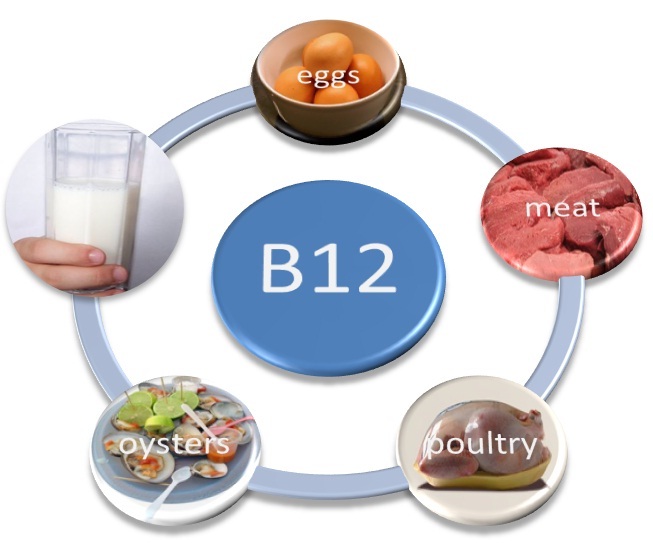 [1, 3] Vitamin B-12 is stored in the liver for several years, making deficiency a rare occurrence. 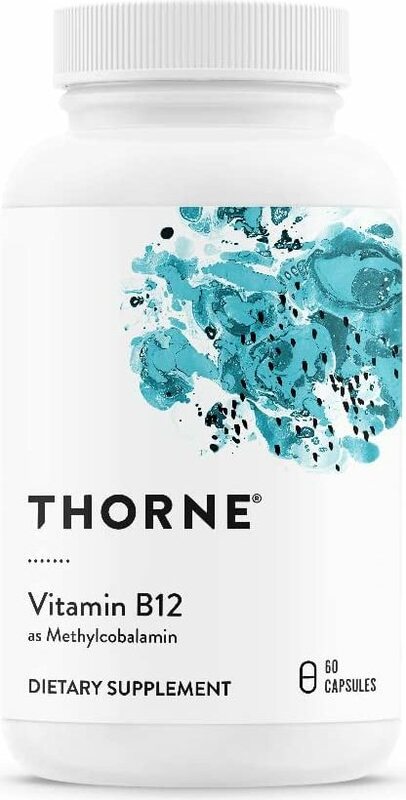 Vitamin B12 is used for a variety of medicinal purposes, but especially the prevention and treatment of B12 deficiency and pernicious anemia (caused by B12 deficiency). 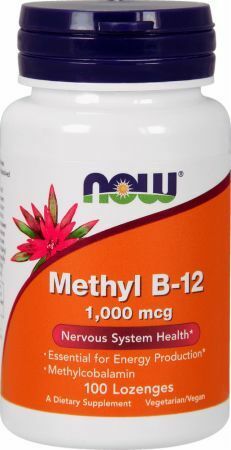 Symptoms of B12 deficiency include fatigue, weakness, loss of appetite, weight loss, constipation, yellowed skin (jaundice), numbness and tingling in the extremities, balance problems, depression, dementia, megaloblastic anemia (production of abnormally large red blood cells), memory problems, mouth and tongue soreness. 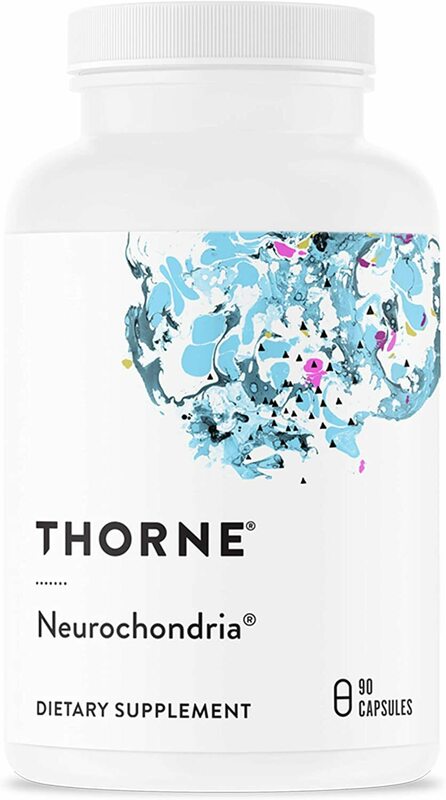 The nervous system can be negatively affected by B12 deficiency as well. If you suspect you have a vitamin deficiency, your doctor can do a simple blood test. Vitamin B12 is considered safe when taken properly. 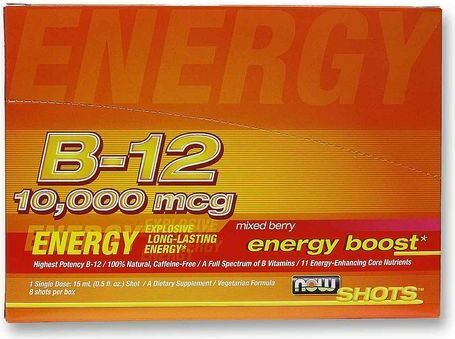 Do not take B12 in large amounts. Vitamin B12 is safe to use on the skin. Pregnant and breastfeeding women can safely take B12 in recommended doses. Consult your physician. 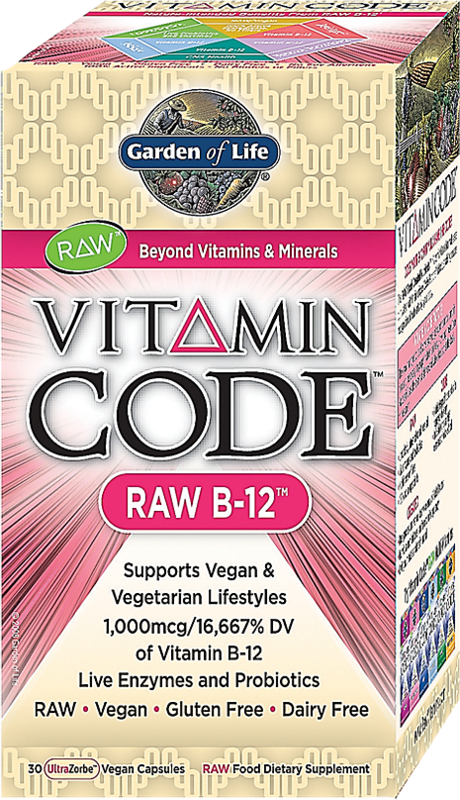 Do not use B12 if you are allergic to cobalt. Chloramphenicol B12 has a hand in making new blood cells while chloramphenicol decreases new cell production. Potassium This mineral can reduce B12 absorption. Folic acid Taking a lot of folic acid can mask a B12 deficiency. Vitamin C This vitamin may destroy dietary vitamin B12. Take vitamin C two or more hours after eating. Alcohol Drinking excessively for two weeks or more can hinder B12 absorption. Acid reflux and peptic ulcer drugs These may interfere with B12 absorption. 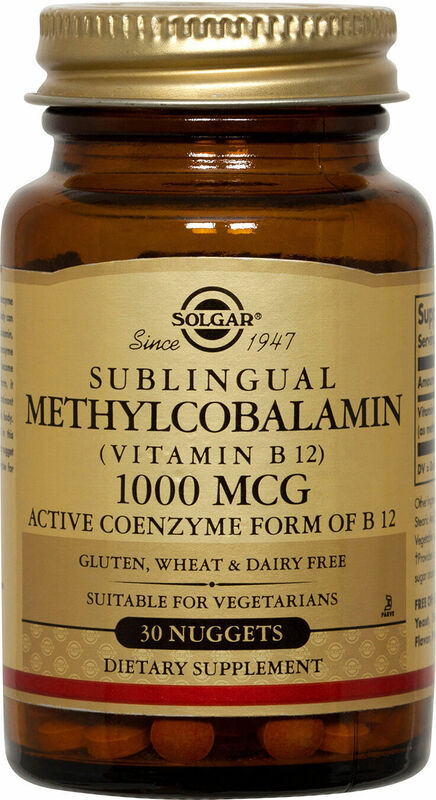 Metformin (diabetes medication) This drug may thwart B12 absorption. This is not an exhaustive list. 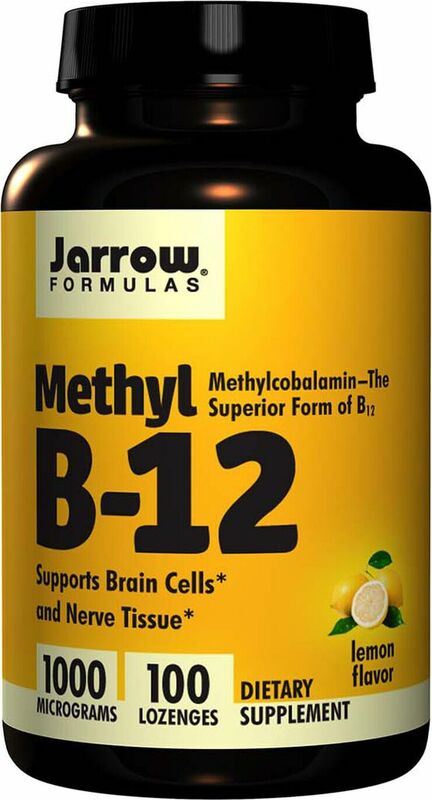 If you're taking any medication, consult your healthcare provider before taking B12. 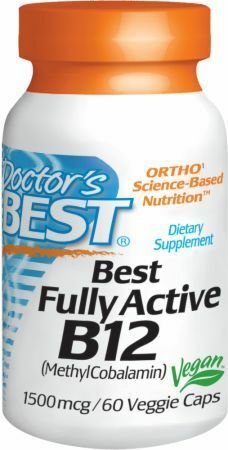 Follow all directions for supplement use, including B12. Herbs and other supplements are not strictly regulated by the government. Product safety and consistency are not guaranteed. Effects may vary according to brand and batch. 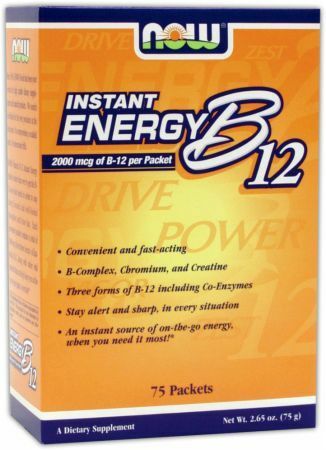 Purchase B12 from companies you trust, who have a good reputation. Don't take our word for it. Consult other reputable sources such as scientific journals for information on B12 and any other complementary or alternative treatment before experimenting with it. Educate yourself about what you put into your body! Regular exercise, a balanced diet and an overall healthy lifestyle can have a significant, positive effect on your mental and physical state. 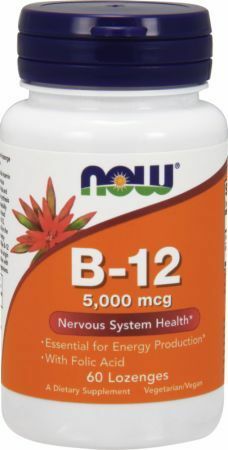 Although we don't sell B12, you can compare quality and price of a variety of brands here at PricePlow.com. Please note that we are not doctors. We take no responsibility for the products listed here since we do not manufacture them. Here at PricePlow, we stick with NOW Foods when it comes to high-quality, GMP-compliant, low-cost supplements. It is no different with B-Vitamins. Forget the marketing nonsense and stick with trusted, quality brands. 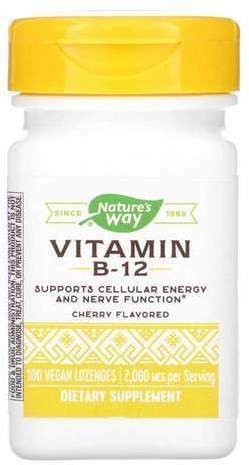 Office of Dietary Supplements; "Vitamin B12;"
Nature's Bounty B-12 was created. 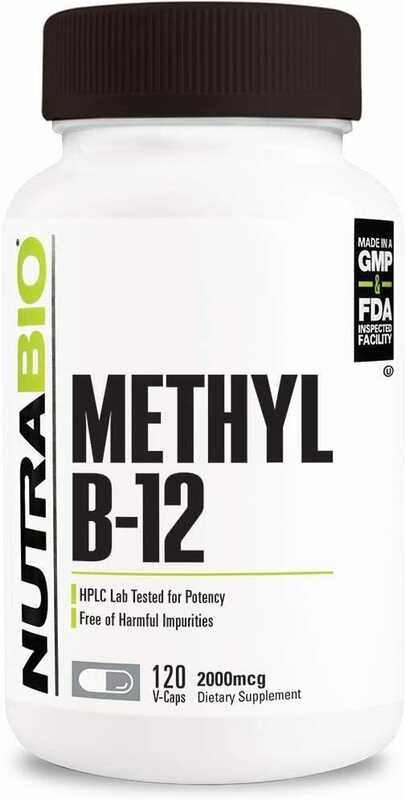 NOW Ultra B-12 was created. 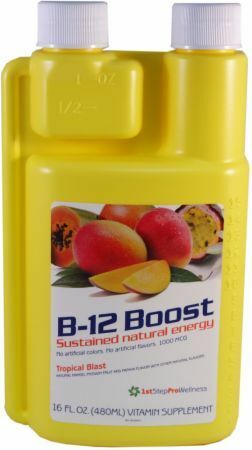 High Performance Fitness B-12 Boost was created. 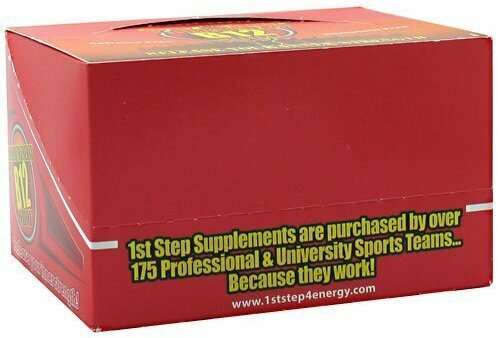 High Performance Fitness 1st Step for Energy B12 Shot was created. Sign up for future Vitamin B12 news! 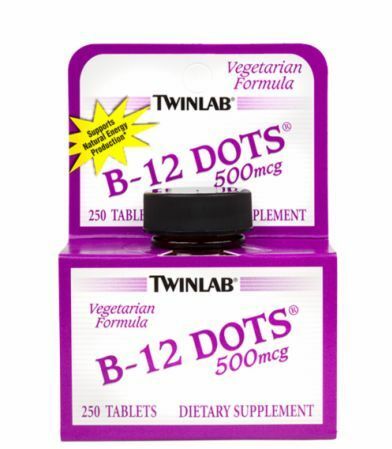 Click the button below to sign up for future Vitamin B12 news, deals, coupons, and reviews! 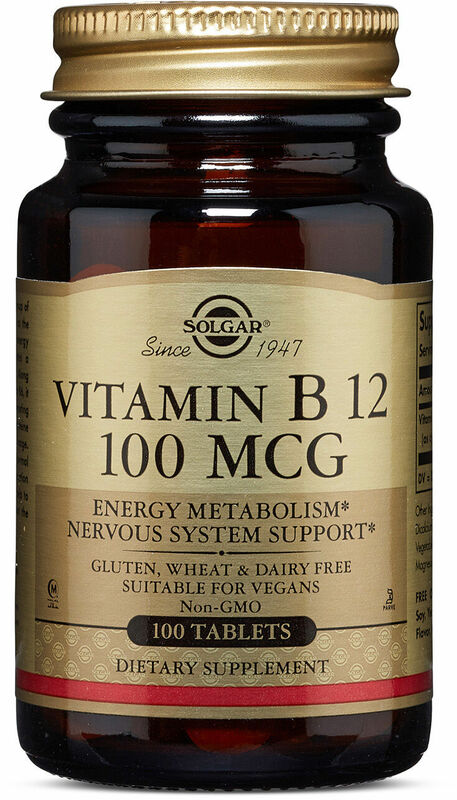 Sign up for future Vitamin B12 deals and coupons! Click the button below to sign up for future Vitamin B12 deals, news, and coupons! Subscribe for more Vitamin B12 news and alerts! Subscribe to PricePlow on YouTube or click the button below to sign up for our latest Vitamin B12 news and reviews! $11.41 This is a Buy 1 Get 1 FREE offer! $80.75 This is a Buy 1 Get 1 FREE offer! $7.92 This is a Buy 1 Get 1 FREE offer!